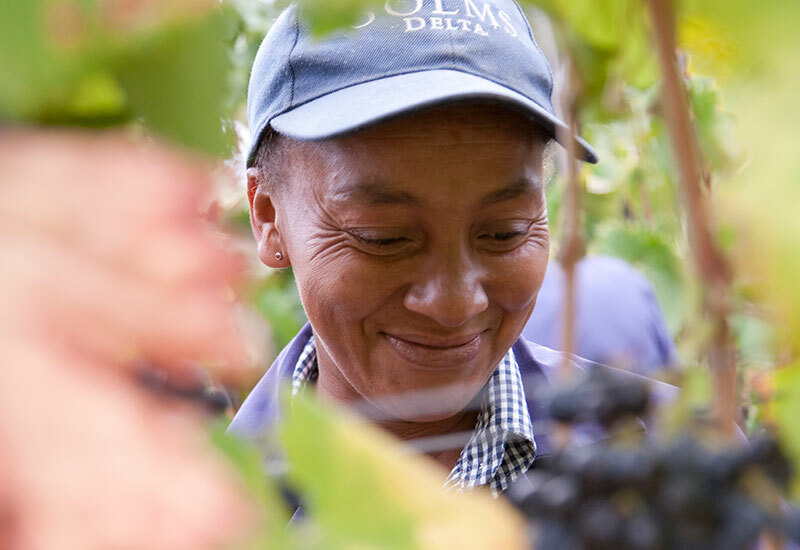 The Solms-Delta philosophy is to make the most of local conditions to produce world-class wines that are uniquely South African. 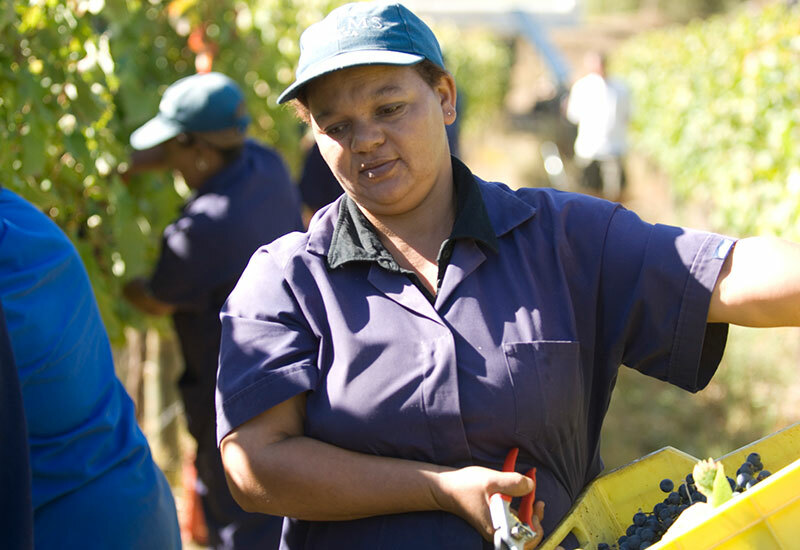 We mainly plant Rhône varietals such as Shiraz, Mourvèrde, Grenache and Viognier that we believe do best in Mediterranean climates such as ours. 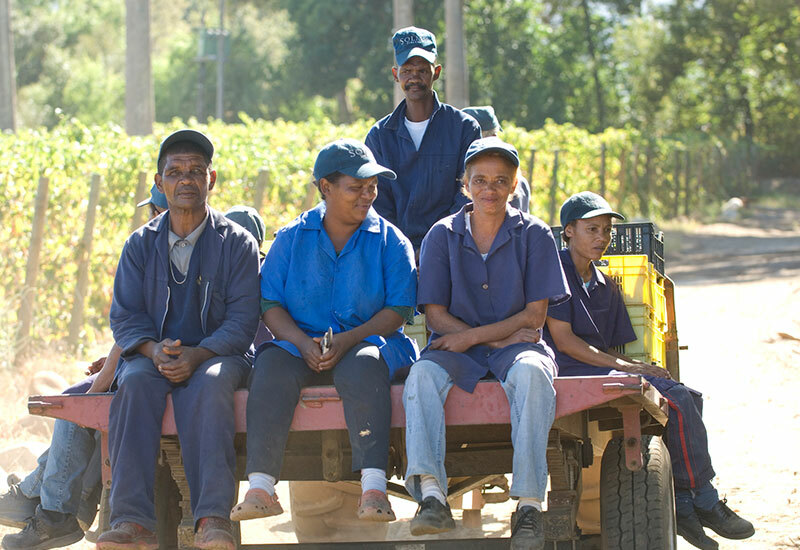 In true Cape style, we also believe in exploring the diverse landscapes of our heritage and outsource some exceptional vineyards with the help of Rosa Kruger. 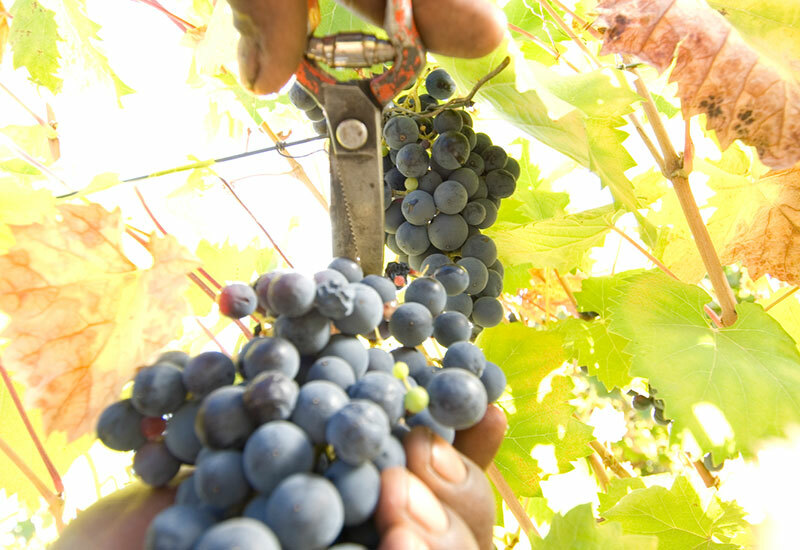 We’ve introduced some of the harvesting techniques from the wine cultures of Ancient Greece and Rome, such as desiccation. 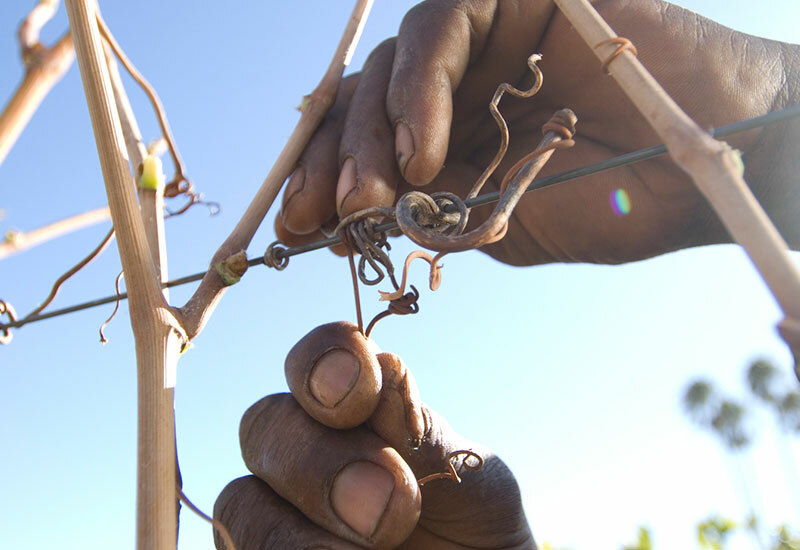 This method involves strangulating whole bunches as soon as they ripen, and then leaving them on the vine for several weeks to desiccate in the sun. 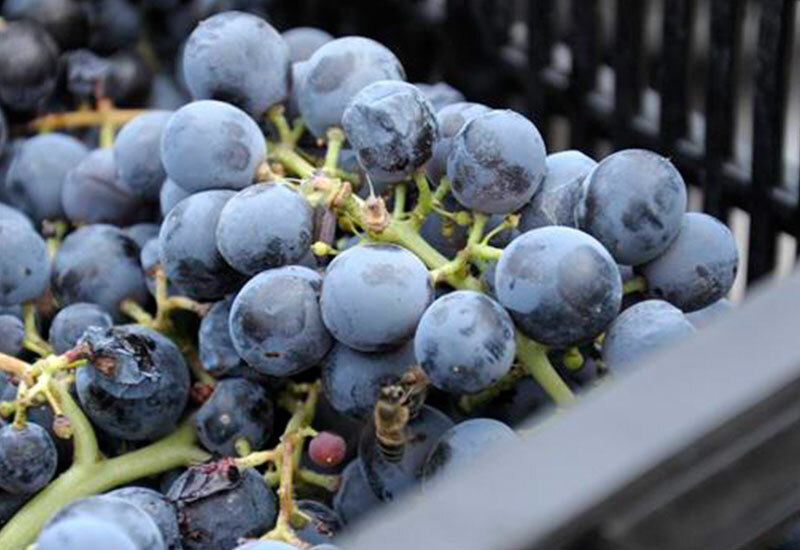 It helps to intensify the flavour and the colour of the wine, without sacrificing acidity. 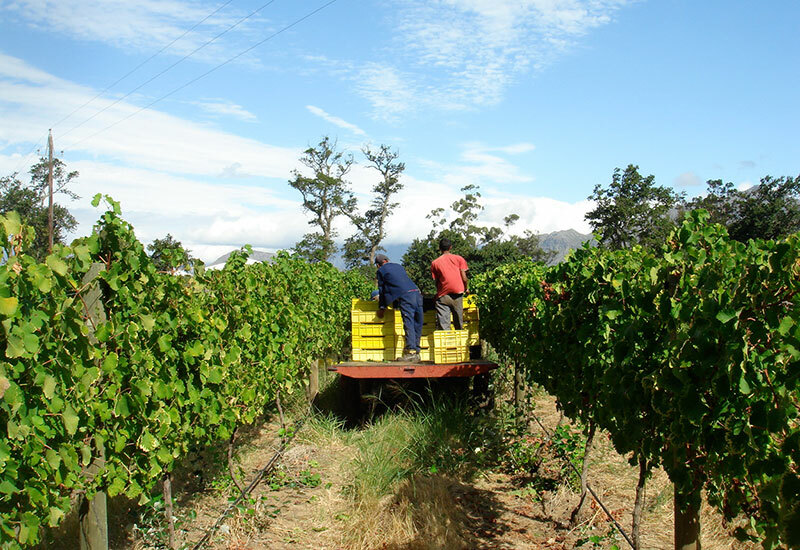 The hot, dry, windy weather of the Franschhoek Valley is ideal for desiccation.